“Everything is Subliminal” picks up where “Let’s See Star B” and “Particularly Hello” left off. Les Easterby continues to expand his psych-pop universe with 11 perfectly crafted songs, that together create a new world within the TWP cosmos. 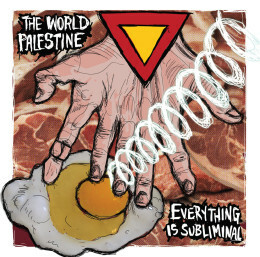 “Everything is Subliminal” explores new musical terrain, while still remaining firmly rooted in Easterby’s usual breathtaking melodies, subtle time signature play and waves of intoxicating warmth.